HDMI cables have become the choice for transmitting uncompressed digital data that ends up as movies and music on your tablet, laptop and big screens. HDMI drastically simplifies high-speed audio and video transmission; however, there are limits to how far you can run this digital cable before the signal does not work. The length varies—some say at 100 feet, others say less. That's where products like our HDMI Extender Over Single CAT5/CAT6 come in handy. This product lets you extend HDMI runs to almost 200 feet (196 to be exact) using less expensive Cat 5/6 Ethernet network cable (we actually recommend Cat5e which has the same bandwidth as the Cat6 but is less expensive). 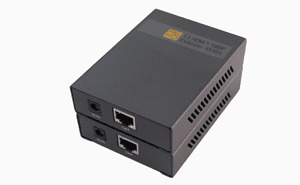 The HDMI extender features a transmitter that is connected to the source by a shorter HDMI cable. The HDMI signal is processed, then output using a select length of single Cat5e network cable into the extender/receiver that converts the signal back to uncompressed HDMI. Then another short HDMI cable is connected to your monitor. 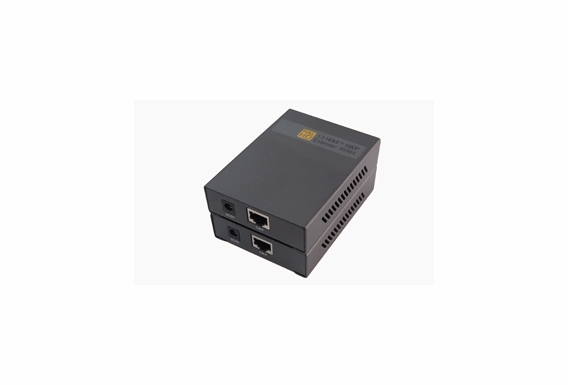 HDMI extender systems over Cat5/Cat6 have been viewed as a safeguard against newer technologies just in case you need to update your connection. It tends to be easier to replace the transmitter and receiver of the system rather than having to pull the HDMI cable out of the wall. Do you get a pair for this price or just one? what do i connect the cat5 cable to my tv? Will this type of equipment work with DirecTV signal?